India, home to the second largest population in the world, has the distinct advantage of having one of the youngest populations globally. Statistically 49.9% of India’s population would be below 29 years in 2021, leading to the possibility of 650 million people (a large number of them English speaking) being in the employable age of 15–59 years in a decade from now meeting the requirements of both the domestic and world economies. Despite this huge labor pool, however, employability continues to be a major concern in India mainly due to the absence of a proper linkage between the formal education system and vocational training. High school dropout rates (up to 56.8%) and low turnout at the vocational training institutes add on to the challenge. 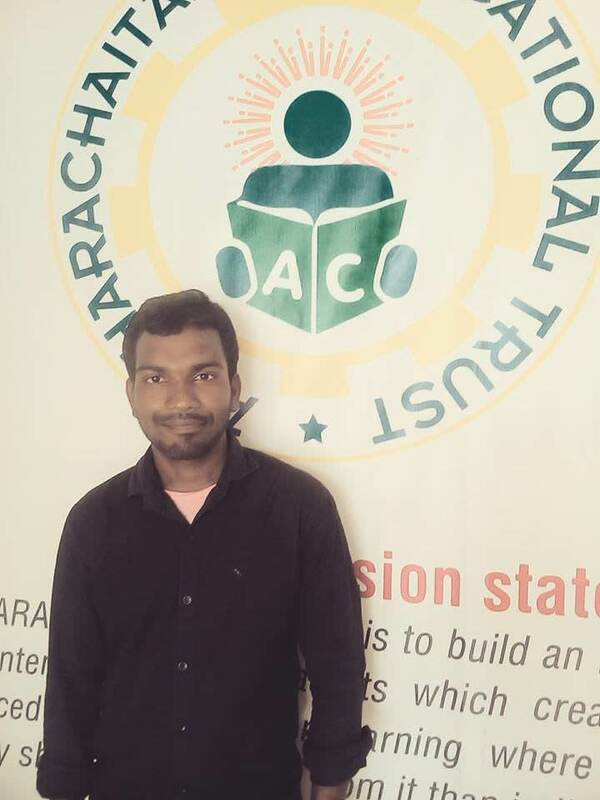 To come up with a solution to make all young graduates to become employable, compete and entrepreneur, an AKSHARACHAITANYA PUBLIC LIBRARY which is started in Sircilla, Telangana State by Nagula Purnachander a native of it, and working as a software engineer in Hyderabad by contributing 15% of his monthly salary. 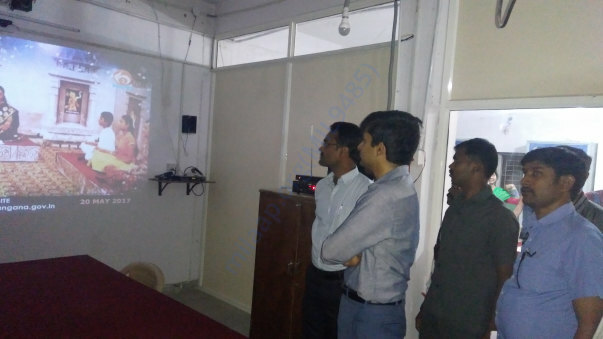 Unlike other public libraries, this has been setup a productive in nature with Digital Classroom where any one around the globe can delivers lectures, interacts the students, share information and video tutorials in the library. 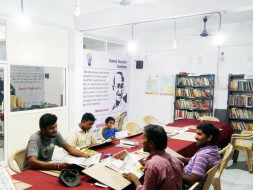 Unlike other public libraries, it has been accommodating more than 80% books where students can prepare exams from clerical to Civil services. Other than preparing Competitive exams for Govt Jobs, a student can learn English, improve his personality, or a teacher who teaches in local schools, and learn a new thing to share with his students. 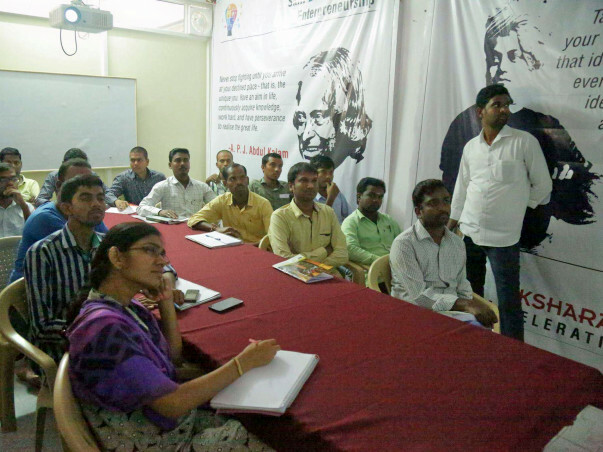 It is built as platform where any one teach, anyone can learn and any one can share. A Library is built with advanced features turned it an institute of Human & Education Excellence. 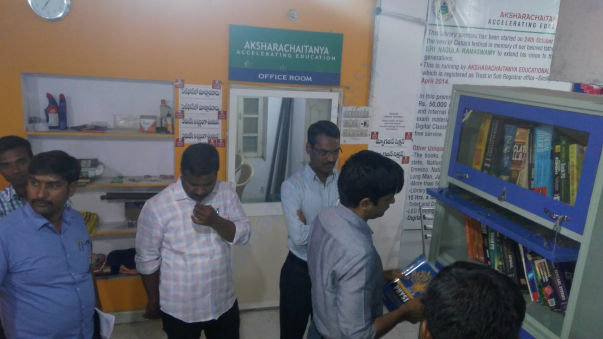 AKSHARACHAITANYA PUBLIC LIBRARY a center for Learning was born with an idea to serve the people to make them more productive in nature rather than knowledgeable. 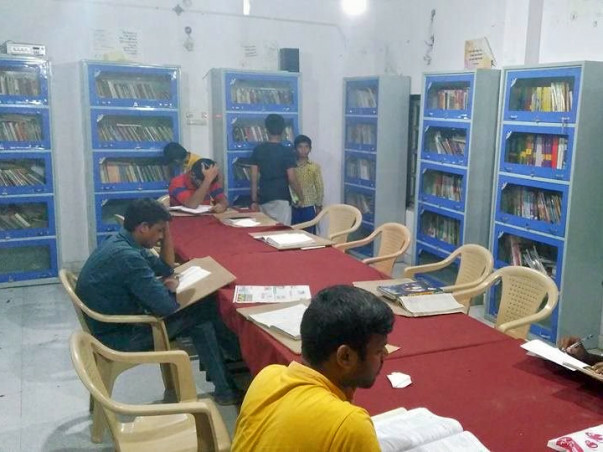 Started with 200 books with 50,000 ( Fifty thousand Indian Rupees only) now become serving with 3000+ books, a digital Library with Web connectivity, CC Camera Monitoring, serving the people from 9am to 9pm all 365 days with no charge to the users. It has been appreciated by each and every individual, Print& Electronic Media, where we have run successfully MANA TV group 2 online classroom sessions where 30+ students are directly benefitted from it for free of cost. And four (4) out of them are cleared the written test, there are the students who cleared CA CPT Exams, LAWCET, EAMCET and ICETs. Many of the students utilized our service free of cost are benefitted where they have to pay 1500Rs to 2500Rs to the study halls in Hyderabad. Of course many of them returning from there to utilize us. The Center of Learning AKSHARACHAITANYA LIBRARY has been set a model and an example build modern libraries. It is become a center point of discussion on renewing and retrofitting Govt Public Libraries in the Telangana, many are become witnessed to adopt this model to build at their native places. It brought a change in the People’s attitude than an individual also can run a public library rather than the governments. Growth is constant, and we always look forward, work towards to make something better than today. With the help of many of you great people, we started our journey and serving many students along with the way. 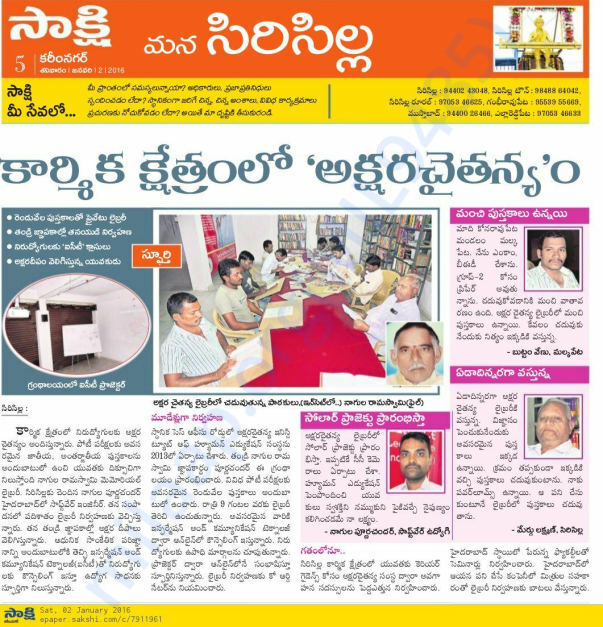 I request to contribute to build a better library and better future to the students. Dr. Pradeep MBBS, got selected for MD( General Medicine) at Care Hospital Hyderabad. 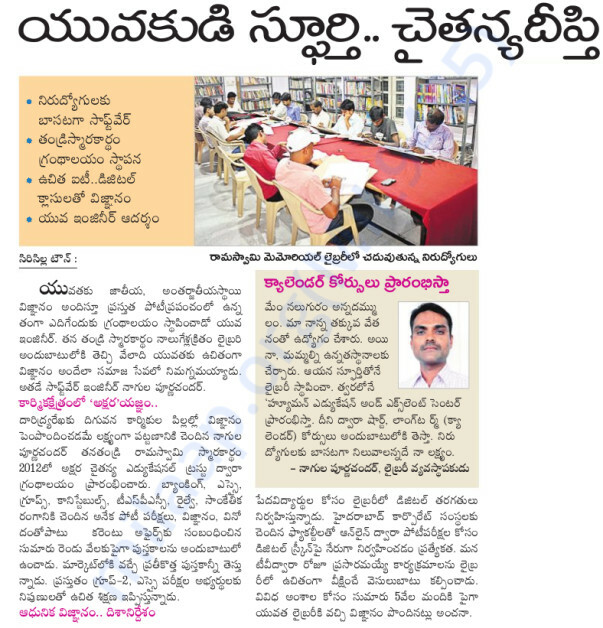 He spent 3 months for his NEET exam preparation in our Library. 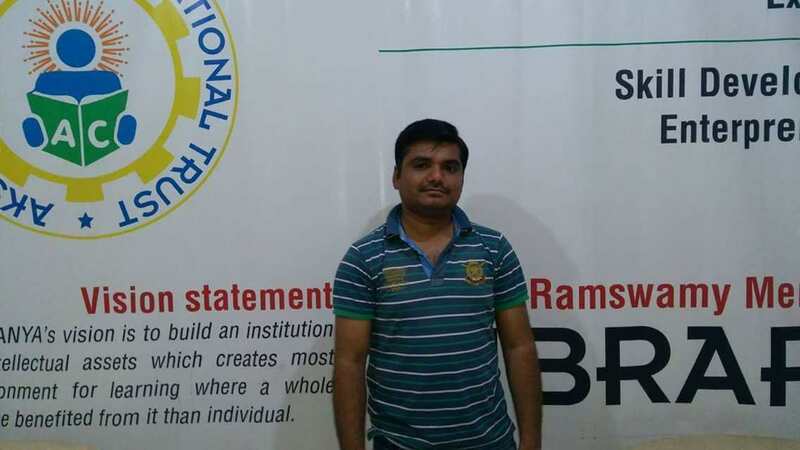 Shekar secured 16th Rank (BC-A, total vacancies- 25) 316 open rank in Dist (medak) in TRT (Teachers recruitment test). Sravani our library student secured MSc(Computer Science) in Sri Chaitanya Karimnagar, Aksharachaitanya has contributed her 15000 Rs to support her PG studies.